Portable, quickly and easily installed on virtually any smooth surface without tools. Large suction cups (4.5") provide superior adhesion properties. 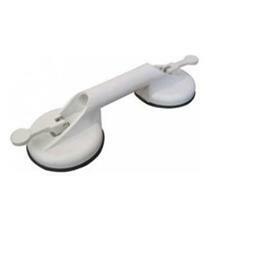 Release levers make installing and removing the suction cup grab bars easy.